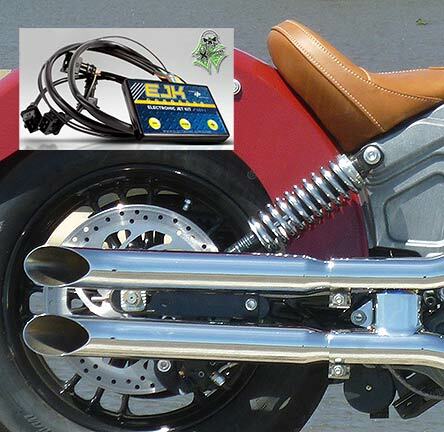 Our slip on mufflers leave more space between pipes and bags than original mufflers for better isolation from heat. 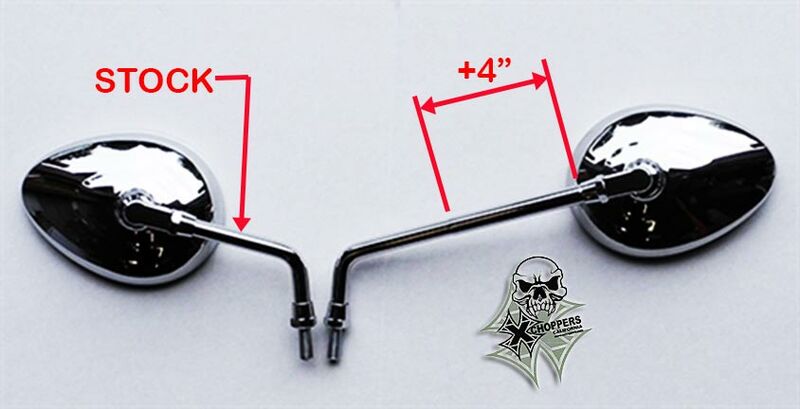 Everything required to install both mufflers onto your stock Scout head pipes. 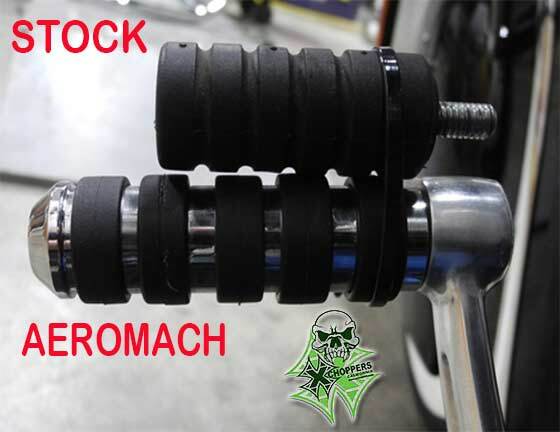 These mufflers use your original head pipes and do not require removal or replacement of gaskets. 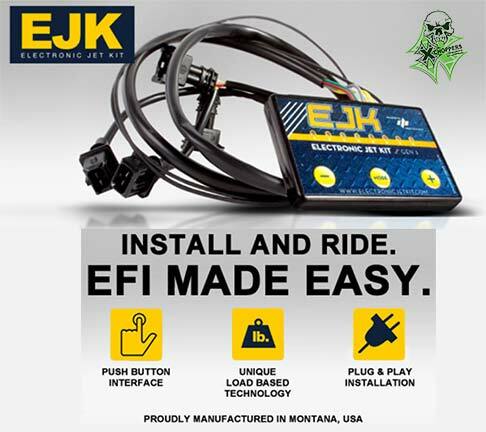 Adding a fuel manager or ECU re-flashing is advised for maximum performance but not required for most applications. Please see fuel managers on this website or contact Xchoppers for our recommendations. 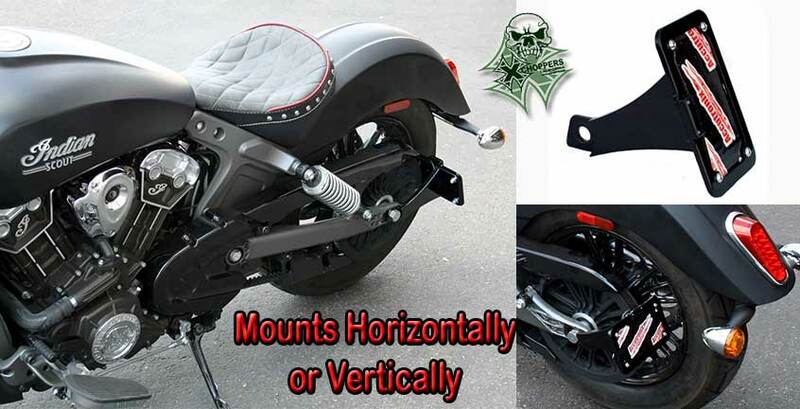 Brackets and mounting hardware are included. 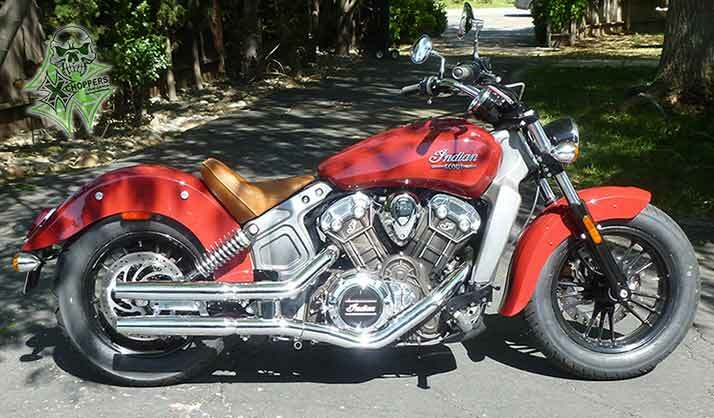 These pipes will give your Indian Scout a very nice, throaty rumble which you'll be proud of! 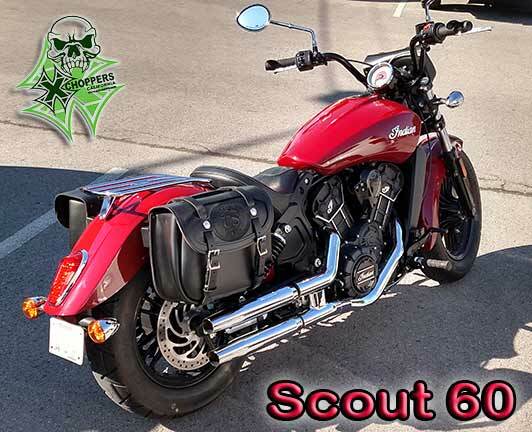 They are much louder than stock but not overly obnoxious like most aftermarket pipes. They get pretty loud under hard acceleration but are pretty mellow when cruising or when you want to keep the noise level down. Note: Exhaust discoloration (bluing) is caused by engine conditions such as cam timing, fuel-air mixture, operating temperature, etc. It is not the result of defective manufacturing; therefore it is not covered by any warranty. 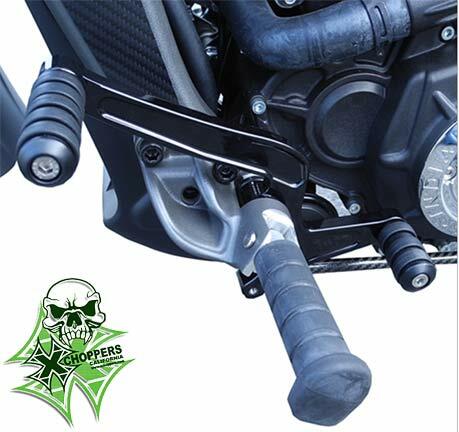 Emissions Notice: Xchoppers.com exhaust systems and slip-on mufflers are legal for sale and use on U.S. EPA and California pollution controlled motorcycles not originally equipped with a catalyst in the exhaust system. 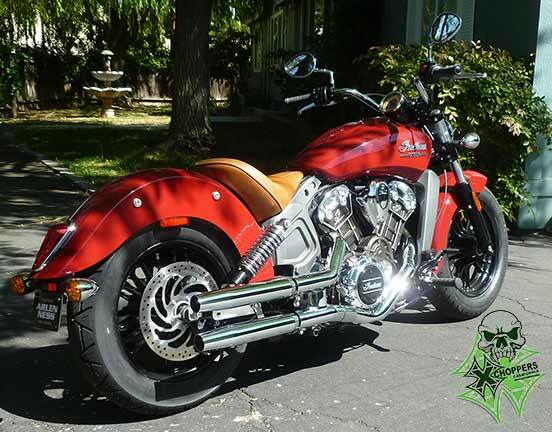 In addition Xchoppers.com slip-on mufflers are legal for sale and use on U.S. EPA and California pollution controlled motorcycles that have the catalyst located in the header pipes upstream of the muffler. Removing a catalytic converter from a pollution-controlled motorcycle is considered tampering and can lead to substantial fines and penalties. 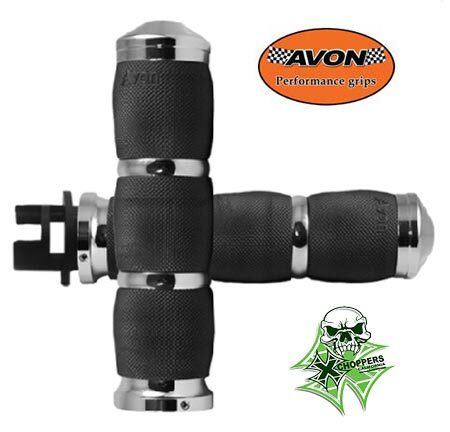 Unless otherwise noted additional Xchoppers.com exhausts shown are restricted to closed course competition use only. Cannot be shipped to California customers unless used off road ONLY. Exhaust Noise Disclaimer: Unless noted, Xchoppers.com exhaust components do not meet U.S. EPA noise standards and may be restricted to closed course competition use. Check local noise ordinances before use. 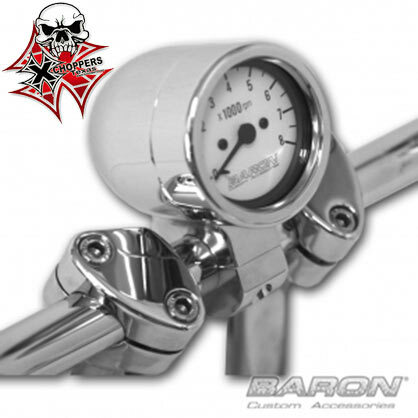 Great Sounding Pipes For Less! To see the shipping cost, just add the items to the shopping cart and then enter your zip code. *Note: As with all aftermarket pipes, this exhaust may not be legal for sale or use on pollution controlled vehicles and may be off road/race-use only, check your local laws before installation or use.